A new book by CSLR Senior Fellow Paul R. Valliere offers a resource for resolving conflict in the church today. Conciliarism: A History of Decision-Making in the Church (Cambridge University Press, 2012) explores the movement of conciliarism, a way of ecclesial decision making in the Christian church, from the early church to modern times. Valliere, professor of religion and McGregor Professor of the Humanities at Butler University, points to some of the problems in traditionalist Christian views as well as in progressive Christian views. His concern is that, for the sake of preserving tradition, traditionalists many times become exclusionary. On the other hand, for the sake of ministering in the world, progressive Christians many times fail to be present in the church. Conciliarism offers a way of bringing people together to work for the welfare of the church. 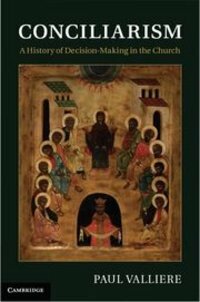 Valliere elaborates on this collaborative dynamic throughout the book, exploring the early church and examining church councils from their origin to their present function. He also looks at the theory behind conciliarism before expanding on its function in Anglicanism. Ultimately, Conciliarism takes a careful look at the way the church makes decisions and the ways in which the church can collaborate so that everyone’s voice can be heard.